Anyone heard of or using these ic's? I picked these up the other day. So far i am very impressed. They sound much better than the AQ Big Sur they replaced. They look like well made cables. I took a look at their website,no pricing. Maybe,like the old saying goes,if you have to ask,you can't afford it! First Watt,Monarchy Audio,Aric Audio,Promitheus Audio,Pro-Ject,Hornshoppe,Nola,HSU,Onkyo. Interesting. Where'd you find them? I saw the Accusound website, but those say "Made for AVT [RX?]" by Accusound"
The build quality is very good. They are well made cables and have a nice firm grip when plugging them in. They have a really nice sound to them, very detailed. A definite upgrade over the Big Sur ic i was using. These run about $220 for the 1m length. I found these at my local mom/pop style av store in NH. They carry, Accusound, Audioquest, Audience, Nordost, Tributaries cables. I looked at the web site also * did not see these. Maybe new old stock or just a new product not listed. I will ask the owner next time i see him. Heard of the brand, but never heard the cables. 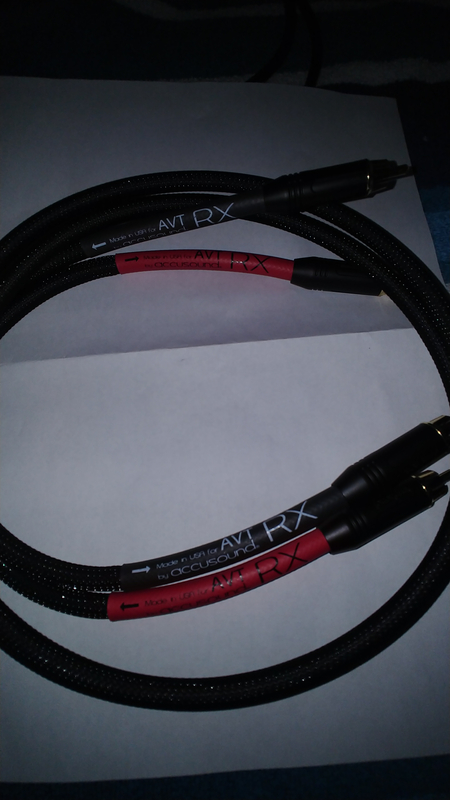 What price level are the AVT Rx compared to their other models? $220 isn't crazy expensive, but not cheap either. How do they compare (price wise) to the Big Sur IC's you replaced with these?